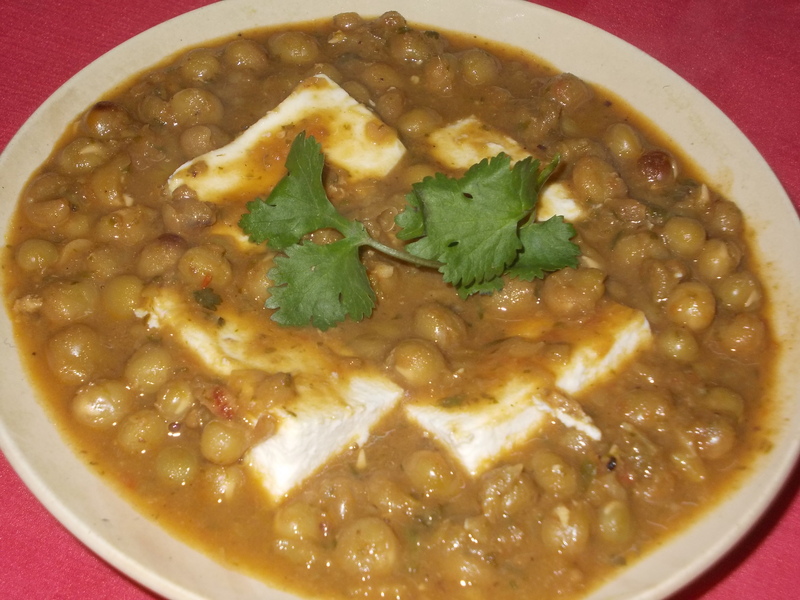 Matar Paneer is a simple North Indian food recipe prepared with green peas & paneer. It is one of the all time favourite main course dish. Cut paneer into small pieces. Heat oil in a pan. Fry paneer pieces till golden brown. Soak fried paneer into light warm water. With ½ tsp of salt. Add garlic & onion in the rest of the oil. Stir in low flame till light brown. Add ginger paste, tomato puree, salt, sugar & stir well. Add green peas & ½ cup of water. Grind coriander leaves & green chillies together & mix with the paneer. Remove from the heat & serve hot.